Empowering others, tackling interpersonal problems, and helping people overcome challenges in their life are all part of a day's work for licensed counselors. Professionals with strong communication skills, empathy, and a knack for solving problems are well-suited to a career in counseling. Counselors are always in demand, particularly now that many insurance companies include counseling services as a covered benefit. This allows counselors to find a steady pool of clients regardless of where they work. According to the U.S. Bureau of Labor Statistics, positions in mental health counseling and family therapy are projected to grow 19% through 2024. Increasingly, students interested in the field are pursuing counseling degrees online. The online format is enticing to students from a range of backgrounds, including first time students and working professionals looking to change careers. Distance programs are particularly ideal for the latter demographic, as they allow students to complete assignments and watch lectures at their own convenience. As online education gains popularity throughout the country, students interested in counseling have access to a wider range of programs than ever before. To learn more about the options available to you, be sure to check out our guide to online education in counseling. Online counseling degrees prepare graduates for a rewarding career by providing a foundational overview of the field and the tools and skills needed to help patients. Licensed counselors must obtain a master's degree or higher. An associate degree in counseling or psychology can prepare students for an advanced program, but does not qualify graduates to work as counselors. A bachelor's degree in counseling provides students with a more comprehensive overview of the field, training them to use their communication and analytical skills in a non-clinical setting. The degree also prepares graduates for an internship or assistant position in counseling. An associate degree in counseling prepares students for assistant positions in the field. Those who have an interest in psychology or psychotherapy may benefit by completing an associate degree before pursuing a higher program. An online counseling degree program introduces students to the basic principles of psychology, human behavior, and social work. Those interested in pursuing an advanced degree in counseling or a career in social work can first complete a bachelor's degree program in social work, psychology, or a related field. Obtaining a master's degree and state licensure is required to become a counselor, and many aspiring counselors and therapists begin their educational careers with a bachelor's degree in social work or a related field. Completing a counseling degree online introduces students to advanced concepts in cognitive and behavioral psychology, psychotherapy, substance abuse counseling, and the treatment of mental illness. A master's degree is the minimum education requirement to become a licensed counselor. Aspiring professionals can complete an online counseling degree and fulfill work experience requirements at a clinic or other approved facility. These programs provide an in-depth evaluation of counseling strategies, advanced courses in psychology, psychotherapy, and clinical counseling, and the option to specialize in a disciplinary subfield. Many master's programs have both residency and fieldwork requirements. An online master's degree in counseling also prepares students for the state licensure exam. Liberty University has one of the best Master of Arts in Professional Counseling programs available online. The college also offers intensive degree programs, so that you can prepare to be licensed and certified at the national level. Courses covered in the program deal with counseling topics like psychopathology, sexuality, counseling adolescents, families and married couples, spirituality and religion's role in counseling and how to approach diagnosis, just to name a few. In addition to course requirements, amounting 60 total credit hours, students are required to pursue both an internship and practicum in the program, counting for 6 credits total, and, at the end of the program must also pass an exam in order to receive their degree; the exam is made in support with the National Board for Certified Counselors. However, this exam is not for professional licensure. Such exams, like the National Counselor Examination, are run separately, but as part of the program, Liberty has dedicated support services and test prep, which students are expected to take advantage of as they finish their degree and pursue their license. A TOEFL certification for students who speak English as a second language. With a Master of Education in Clinical Mental Health online from Lamar University you will be prepared for any clinical social work setting, including counseling people with marriage, family, emotional or substance abuse issues. Students enrolled in the program may also be eligible for a $10,000 grant toward tuition from the US Substance Abuse and Mental Health Administration (SAMHSA). Intensive master's in counseling online programs allow students to complete coursework in as few as 30 months, so you can focus on finding work. The program even offers two residencies to help you launch your career. Anyone who has a passion for the "helping professions" like social work or counseling should consider Seton Hall University's online combined M.A. in Counseling/Education Specialist (Ed.S.) in Professional Counseling. 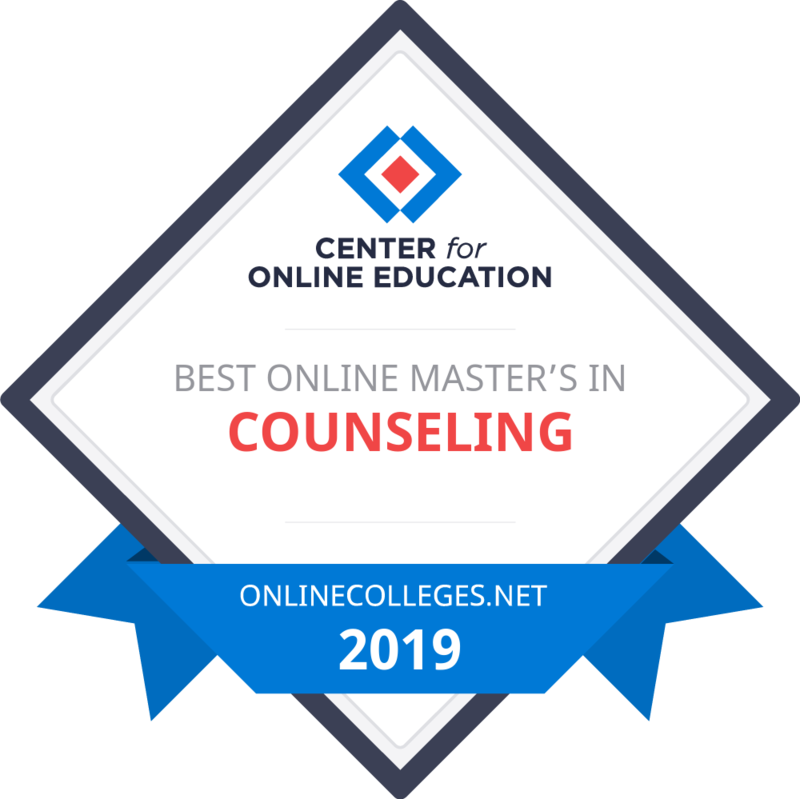 The accredited master's in counseling online 60-hour degree program offers students the convenience of studying online, with credits divided into 20 3-credit courses spread out over 10 semesters. A personal statement, resume, writing samples, and letters of recommendation – all submitted through the online portal. Nova Southeastern University is proud to offer its MS in Counseling online for both busy working professionals and those looking to change their careers in their own time. The program is specifically designed to offer high-quality training and education that does not interrupt an otherwise busy schedule. Most coursework can be completed online, although an on-site internship is required to complete the degree. NSU states that their counseling master's offers three specializations students may choose from: mental health, substance abuse and applied behavior analysis. While students have an extensive selection of courses that must be completed in their given specialization, all students share a core of counseling courses, covering theory, ethics, the basics of assessment, diagnosis and treatment and some work on specific audiences, such as adolescents or couples. Both an internship and a practicum are required. Non-degree seeking students can consider pursuing either an introductory or advanced program in applied behavioral analysis. All online-based programs are powered by the Southern Regional Education Board's (SREB) Electronic Campus. A 500-word explanation of interest in a specific social work field: mental health counseling, applied behavior analysis, or substance abuse counseling. Two letters of recommendation from professors, employers, supervisors, or others who have a thorough understanding of your work ethic. It is preferred that applicants have an undergraduate degree in psychology, education, behavioral science, or social work, but a combination of job experience and volunteering may substitute. Once the Baptist Bible College & Seminary of Pennsylvania, Summit University’s Christian focus could be a draw for many students seeking to enter counseling, especially if the work they aspire to is religious in nature. The Master of Science in Counseling has a drive toward self-pacing; the program can be completed within two or three years. The program's overall mission is to prepare graduates to pass the National Certified Counselor exam, apply for a license through the Licensed Professional Counselor regulations and develop leadership skills to become a better social worker and counselor. Summit University does not currently offer details about their graduate admissions requirements online, but prospective students can click here to request more information about the college and its higher education. California Baptist University’s Master of Science in Counseling Psychology offers a Christian-driven focus on either marriage and family counseling or professional clinical counseling. Both programs better prepare graduates for private practice social work or counseling through ministry more than virtually any other master's found on this list. CBU's master's in counseling online programs can either go at the pace of the class or move at an entirely self-driven pace. The online master's degree in counseling program respects California’s high standards for counseling professionals as well, so students will be prepared for a variety of legal licensing once they’ve graduated. Write a 500 word essay that covers the reason for applying to that program, long-term professional goals, and influences that have shaped the student’s approach to life. University of the Cumberlands offers a fully online Master of Counseling degree specifically geared toward mental health and addiction counseling. However, the degree also opens opportunities in school and academic counseling, rehabilitation and marriage and family counseling. Courses students take throughout the program cover topics like ethics, growth and development, crisis management and assessment and treatment theory and practice. The program totals out to "60 hours of graduate-level work"; up to 30 credit hours can be transferred in when beginning the program. Cumberland accepts rolling applications, so you can apply and begin the program throughout the year. The online master's in counseling psychology through the Southwestern Assemblies of God University still allows students access to on-campus support and facilities. Accredited by Southern Association of Colleges and Schools Commission on Colleges (SACSCOC), SAGU prepares graduate students for many types of counseling occupations, including courses on legal and ethical issues, crisis intervention and human growth and development. Most of their master's degrees, including the counseling psychology degree, are available online to accommodate every schedule. Unlike many of the listed universities, SAGU evaluates graduate students after they have completed 12 hours of their coursework, to ensure they are integrating all of the information to successfully pursue a counseling career. SAGU also offers counseling students the option to add "Play Therapy" as an additional certification. There is no information online about the acceptance requirements for the Counseling Psychology program, but prospective students may request more information here. The Mid-America Christian University’s Master of Science in Counseling program offers an online Professional Counselor emphasis to prepare students to enter the social work world faster than many other degree programs. The accredited online master's degree in counseling degree helps students prepare to become licensed as a Licensed Professional Counselor, which includes both secular and ministerial applications. If you prefer, you can also focus on Marital and Family Counseling, Pastoral and Spiritual Direction or Addiction and Substance Abuse. This private, liberal arts-focused Christian college prepares busy students through online academics for problems in the real career world. Prospective students may go here to contact MACU for more information on their requirements for acceptance to the online graduate school. The process includes submitting transcripts and a completed graduate student application packet. Those who wish to teach and educate counselors or pursue scholarly research in the field can complete a doctorate program. Programs are typically three to five years in length and guided by a department professor. As the need for highly trained counselors increases, educators and supervisors will be needed to guide future counselors and contribute to the industry through their research. Those with advanced degrees can look forward to more attractive career opportunities and above average salaries. Family therapists specialize in psychotherapy to provide help resolving conflicts. Completing an online counseling degree or a program on campus is the minimum educational requirement for a career in this field. Therapists are required to complete two years of supervised clinical experience before they can provide counseling services, or diagnose and treat mental health and substance abuse problems. Clinical counselors diagnose and treat mental illnesses. They may work with a psychiatrist and other mental health professionals to incorporate prescription medication as part of a treatment plan. Mental health counselors must be licensed, and clinical counselors need to complete a residency. Many of these professional complete a counseling degree online and obtain relevant work experience before entering the field. Addiction counselors help people overcome addictive behaviors and develop healthy coping skills. They may specialize in substance abuse counseling to help clients lead healthier lives. Licensed counselors must obtain a master's degree. They should also take specialized courses in substance abuse and behavioral psychology to pass the Examination for Master Addiction Counselors, and to earn the Master Addictions Counselor (MAC) credential. School counselors work closely with students to help them develop age-appropriate academic and social skills. They help students overcome social problems, develop social skills, and guide them as they make educational and professional career decisions. Completing a master's degree or certification program in the field can help professionals earn a higher salary and qualify for attractive job opportunities throughout their career. Many counseling programs allow students to specialize as a school counselor and prepare for state-issued credentials. Tasha Holland-Kornegay is a Licensed Professional Counselor. She earned her degree from Walden University online, graduating with a PhD in Human Services with a focus on Family Strategies. She is currently working in private practice, and has been for over seven years. 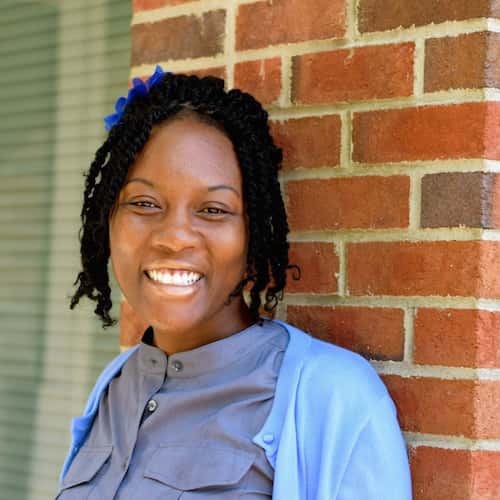 She also provides supervision for post-master's degree counselors and therapists pursuing a license in North Carolina as a Licensed Professional Counselor. Why did you pursue your degree online? I pursued my counseling degree online because of a busy, hectic work schedule. At the time my son was younger, requiring lots of attention. What were the biggest advantages of studying online? The biggest advantage was taking the commute/travel out of the picture. I was able to achieve my academic goals from the comfort of my home. It gave me the opportunity to multi-task (i.e. put a load of laundry in while working assignments online). Were there any challenges or obstacles you encountered as an online student? There were times with the program when we had to attend week long sessions at an onsite location. It really wasn't a challenge, because you are able to plan them out well in advance. I currently contract for two online therapy chat platforms (Talkspace and Talk Life Connect). Both of these platforms are new. Therapy is finally catching up to technology. Learning online was a big help! I am very comfortable operating in a technology-based platform. Every state has different requirements for licensed counselors. Some states require counselors to obtain a single license while others mandate multiple credentials. Titles and credentials include Licensed Professional Counselor (LPC) and Licensed Professional Clinical Counselor (LPCC). Many accredited schools offering online counseling degrees offer license examination preparation courses so students can earn their license shortly after graduating. Duration depends on how long it takes to complete master's degree and supervised experience requirements. National certification from the National Board for Certified Counselors (NBCC) can help graduates obtain a state license in some states, but is not a substitute for a license itself. A National Certified Counselor (NCC) has met all certification requirements set forth by the NBCC and is committed to staying current with best practices while abiding by the NBCC Code of Ethics. Duration depends on how long it takes to complete a master's degree, pass the National Counselor Examination (NCE) for Licensure, and complete 3,000 hours of counseling experience and 100 hours of supervised experience.